In my day to day role I am constantly reminded of the fast pace of our new mobile-first, cloud-first world. You only have to look at the Microsoft Azure cloud services or the Office 365 products and services to see just how rapidly things change. 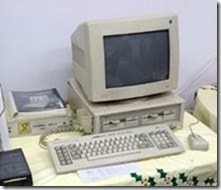 This constant refreshing of our IT Pro world started me thinking about the old times, the old products and what life was like way back when. 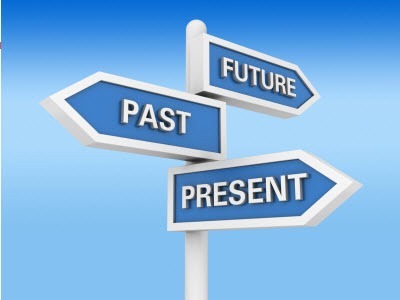 I also started to get a little uneasy about what is going to happen in the future to the traditional IT Pro. So why don’t I take you on a journey down memory lane, through to the modern day and what might be around the corner for us all in the future. My first IT Pro role was back in 1994 when I was serving as a Police Officer in West Midlands Police. There were the usual political wrangles of procuring kit, software and resources to provide a new network, isolated from the main corporate network on which we would carry out a project to provide Crime Mapping, Human Resources planning etc. A Pentium processor, not much RAM, a tiny hard disk running Microsoft Windows NT3.1 and five client PC’s running Windows for Workgroups 3.11 over a thin net Coax network. The majority of you reading this will not have seen ANY of these things let alone used them. The interesting thing is that despite the tiny RAM and tiny hard disk it was plenty for what we needed at that time. To install the OS you had to hand feed the machine a huge number of these floppy disks in order, and if one was wrong, corrupted or an error occurred you had to start again. Eventually we had the system up and running and we managed to use the MapInfo product (now part of Pitney Bowes) and its Map Basic development language to produce a very interesting crime mapping product, the first of its kind in the UK and the forerunner to a lot of today’s more intelligent policing strategies based on data analysis. I need to add here that I had nothing to do with the development other than some rather neat Excel Macros to feed in the data. That was all down to a PC colleague John Kelly and the boss Supt Gil Oxley. (Gil went on to run IT in West Midlands Police and to form his own company providing HR resourcing software for rostering shift patterns. I don’t know what John is up to now). What problems arose then that we still see today? 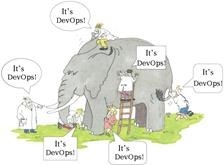 – The term DevOps didn’t exist but the common sense processes between Developers and Operations staff did. But how often was it used? Well, the team was three strong, Devs and Ops worked together and there was only one application so we didn’t have much of a problem. There was no cloud, no real internet and many fewer threats too. The one challenge I faced most often was nosey police officers taking off one of the Ethernet coax terminators and sending the whole network down. – There was no TCP/IP stack for Windows so it ran on NetBeui, and because that dint follow the OSI 7 layer model it wasn’t allowed to run on our corp network so we had to build our own. It was slow and clunky – see above for people taking it down at will. – Installations took forever, CD Roms had just come in but our software was distributed on Floppy Disks. Hard Disks were slow and backup took forever. – This was only possible by modem which made it very very slow, and was only available for administrators on the server, there was no terminal services or RDS back then. There was no concept of mobile computing, especially not in a Police environment. 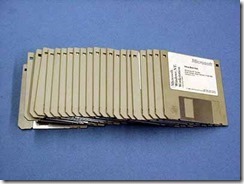 – These were released as Service packs once in a blue moon and were essentially a whole load more floppy disks. If there were bugs and you had an account and a support contract you had access to download hotfixes by modem from the FTP site (slowly). – This was one of the hardest challenges and to some degree is still the same today. The difference here is that we were training from scratch with Windows. Almost all Police systems were not running on GUI Operating Systems. The average user was initially actively against the extra work needed to use the systems and didn’t like having to use the HR system for rostering either. 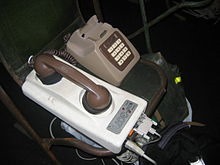 The majority did not have PCs at home and almost none of them had any form of mobile communications, although some had new-fangled message pagers. Even though I am a technical Evangelist and I don’t have a regular IT Pro day job, I do help out family members and friends with their business IT. So since this is current and real I will obfuscate identifiable parts of the present section. The scenario is a small business with around 20 users. The users and management are not hugely IT friendly or literate (by today’s standards), but they all have smartphones and laptops / PCs at home. 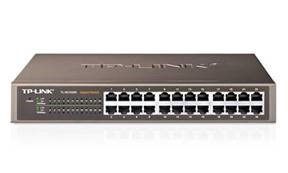 The network in use has Cat 6 cabling and Gigabit managed switches for each segment. 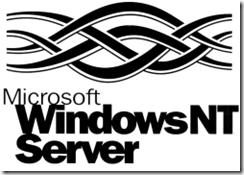 There are three servers; one running Windows Server 2012 R2 Essentials, one is the old Windows Server 2008 Small Business Server and the other is a Server 2008 R2 RDS Session host for remote desktop access. 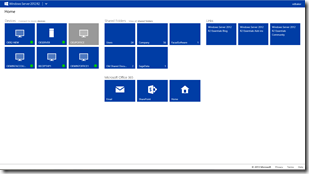 The new Essentials server uses Azure Backup and is integrated into the Office 365 business premium subscription. The network uses IPv4 and IPv6 and the phone system has just been replaced with a fully Ethernet VoIP system. The card payment system has also been integrated and no longer uses the telephone network but is connected through the Cable internet system running at 100Mbps. There are 15 Windows PCs, 3 different WiFi networks and all users have full remote access both to the RDS Server and through Essentials to their desktop PC should they need it. There is LOTS of RAM, large fast processors and masses of RAID 0 and RAID 5 hard disk arrays. There is also a LTO 4 tape drive for backup locally which is removed from site daily. 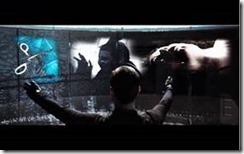 The administration of this system is all completed out of work hours and mostly remotely. – All applications in this network are commercial, either off-the-shelf or LOB applications, and the providers require some form of remote access to perform updates. The OS is Windows and is managed by online updates. 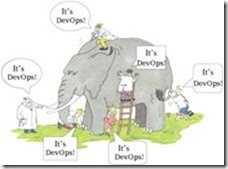 There is no concept of DevOps in this business as there are no in-house or remote developers. – Fast, Gigabit Ethernet fully-switched network with a small business router connecting to the outside world through cable internet and VPN. – Installations are often carried out through remote access, take a few minutes and the BITS are always downloaded through a seriously fast internet connection. Media (if used) is either USB or DVD and the backups are rapid whether to tape or Azure. – The business cannot survive in its current model without remote access. Several people work from home, the bookkeeper is often remote only. All users regularly connect to access data which has to be stored on site for regulatory reasons. Office 365 is the email solution. – These are automated, online and fast. No longer managed by WSUS and will soon be using the Windows 10 model for client updates current branch. 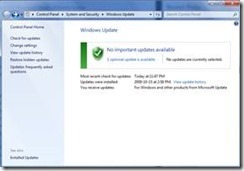 Servers are updated by Windows Update on a regular basis. No more FTP or disk updates. 3rd party suppliers often connect to update their applications directly. – From users resenting PCs, they now require faster, better PCs and applications. Downtime is not accepted and the users have a hundred ways to communicate the smallest upset to service availability. All users connect to email remotely either by PCs or smartphones. 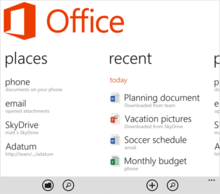 OneDrive keeps them connected to work documents as does Office 365. This is the bit I get to fantasise about; such as how easy being an admin will be in the near future. Obviously hardware will never be the limiting factor, and applications are continuously integrated and deployed so they are always up-to-date and functioning. The local datacentre is running on Windows Server 2016 with Azure stack deployed. Developers are using a mixture of Visual Studio with Team Services to manage deployment. So what will I do as an IT Pro 10 or 15 years from now? – This is the area I expect to change most in business IT systems in the future. I would imagine all IT Pros will need to understand the mind and processes of a Developer and ensure that software defined infrastructure, software defined networking and storage are all configured to provide what they need in Dev, Test and Production at all times. – Obviously all networking will be at 50GBe from server to client and faster for the core services. The big change for the IT Pro (other than the cable chap and the rack installation guy) will be that everything is software defined. 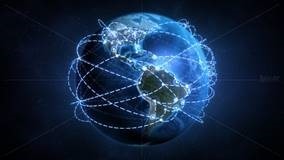 There will be one console to ensure that the whole stack from storage to compute, through networking is scalable, flexible and self-service within set parameters. – Windows Server 2016 advances mean that all storage is directly attached and running in Storage spaces direct with Failover clusters hosting the necessary Nano-based Virtual machines. All high value data is stored on shielded VM’s protected by Active Directory-based attestation protected by HSM and TPM. – Enterprise Mobility is the new normal. All users have access to thousands of SaaS apps with SSO provided by Azure AD integration. 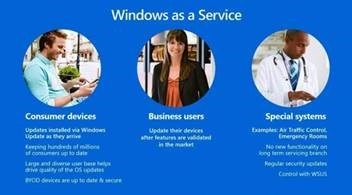 Microsoft Intune and Azure AD join enable cradle to grave management of Windows and other devices. – These will be delivered in secure packages, through online updates, perhaps staged in cached areas of your own network and not just for Windows but for all technology that requires updates to software and firmware. 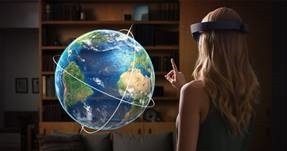 – If the More Personal Computing vision of Satya Nadella has been successful, the methods of interaction with your PC will not stop at Holograms. The guys and girls at MS Research will be seeking out new ways of interacting with and controlling our technology. You know what that sounds a lot like NOW, just faster and everyone will have adopted it! In all seriousness, the IT Pro needs to evolve with each generation of Developer, User and Operating System, to ensure that his or her skills are kept up to date and relevant. Don’t get left behind – make sure you know what’s coming by checking out the Microsoft Virtual Academy and Channel 9. After all, we live in a world where PowerShell now works with Linux and network speeds to end users have moved from 5Mbps to 10GBps. In 1994 when I built my first network, neither PowerShell or Linux existed (Ed: Linux did, but Linux 1.0 had not actually been released at the time of the network install). So what will happen in the future? One thing is for sure it, isn’t going to be the fastest or the fittest that survive. Rather, it will be the one who is most willing to adapt to change. 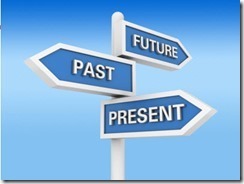 If you are an IT Pro in today’s world just ask yourself – am I skilled and qualified enough to move into the future? Why not start by coming along to one of our #InnovateIT events and see what’s changing in Enterprise Mobility, Cloud Infrastructure and Datacentre Infrastructure, not forgetting of course the Operations Management Suite. You can register for an upcoming session near you here.